This is the third of our overview series of the main hotel loyalty schemes. Each scheme will be covered over two posts on consecutive days. One will list the basic facts of the scheme – basically ‘How does Le Club AccorHotels work?‘ – and the other will be my subjective view of what is of particular merit. Le Club AccorHotels covers 3,400 hotels globally. These operate primarily under the Sofitel, Pullman, M Gallery, Novotel, Mercure, Rixos, Adagio and Ibis brands, plus Orbis in Poland. Accor also owns for Formule 1 / F1, Banyan Tree and Jo&Joe brands but these do not participate in the programme, and neither does Ibis Budget. It recently acquired Raffles, Swissotel and Fairmont and these will be integrated into Le Club from mid 2018. The home page for the programme is here. Accor has the largest number of non-US hotels of any chain. 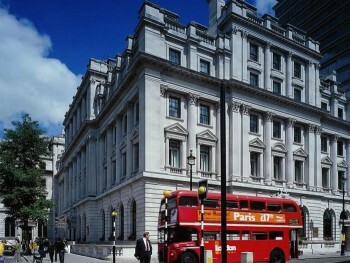 The group is well represented throughout the UK (Sofitel St James, their most upmarket UK hotel until The Savoy is integrated, is pictured below) at all price points. The Sofitel at Heathrow Terminal 5 is connected directly to the airport and is an impressive hotel. Liverpool also gained a new Pullman. The chain is poorly represented in North America and, globally, it is not well represented in the luxury market. This should change when the Swissotel, Raffles and Fairmont properties are fully integrated. Not much, although when I was young and poor I found ibis to be a decent compromise between quality / security and value. A few years ago Accor had a promotion offering easy-to-earn €40 vouchers. I collected five and used them at the Sofitel in Luxembourg. I did book into the very impressive new-style Novotel Blackfriars on an exceptionally cheap offer rate in order to review it – see here. The new Novotel at Canary Wharf also looks very good. We are visiting the Pullman London St Pancras this week and will review it. We also reviewed the new ibis Styles at Heathrow and found it very impressive. On 1st January 2017, Accor made some major changes to Le Club. Bringing themselves in line with other major loyalty programmes, only base points earned from hotel stays now count towards status. Before 2017, ALL points – however you earned them – counted towards status progression. This meant that it was easy to reach top-tier status by timing your stays around a couple of generous bonus point promotions each year. Accor did reduce the number of points required to earn status from January 2017 – Platinum dropped from 25,000 points to 14,000 points for example – but anyone who took heavy advantage of Accor promotions now needs far more nights to retain their status. Silver – requires 10 nights or 2,000 points. Benefits are free internet, a welcome drink and a 25% point bonus. Gold – requires 30 nights or 7,000 points. Benefits are free internet, a welcome drink, room upgrade, late check-out or early check-in and a 50% point bonus. Platinum – requires 60 nights or 14,000 points. Benefits are free internet, a welcome drink, room upgrade, lounge access, late check-out and early check-in and a 75% point bonus. Some Accor brands offer specific extra benefits to different tiers. Platinum status is no longer given free to American Express Platinum card holders. This was a major loss for Amex as Accor was the only chain to offer free top tier status. Full details of elite benefits can be found here. Accor does not offer lifetime status. Accor does not have a typical ‘earning and burning’ structure. Spending is totally revenue based with no opportunity for arbitrage. Non-status members earn 2.5 points for every €1 spent at the hotel. On the website, this is described as a 5% rebate. For every 2,000 points you collect, you can redeem for a €40 Accor voucher. The primary use of these is to redeem in Accor hotels. You can redeem these online which allows them to be used against cheaper prepaid rooms. As long as you avoid Ibis and Adagio properties, you are effectively receiving cashback (in Accor vouchers) of 5% as base member, rising up to 8.8% for Platinum members. If you don’t want to spend your voucher in an Accor hotel, there are a small number of other options such as Europcar and Club Med holidays. Sports tickets (for example French Open Tennis) are also available for points but this appears to be on an ‘invite only’ basis. Accor also offers tickets for events at the arena it sponsors in Paris. Note that Accor has some weird exceptions to points earnings. At Ibis and Ibis Styles you earn 1.25 per €1, with Ibis Budget earning nothing at all. Adagio is 1 per €1. At Adagio Access you earn 0.5 per €1. In China, you earn nothing at all Ibis hotels, every day. There are also a few other partners where you can earn points but the only relevant ones for a UK resident are Europcar, a subscription deal for The Economist and ClubOpinions market research surveys. Accor has a partnership with Finnair and another with Qatar Airways which allow you to transfer your Finnair or Qatar Airways miles into Le Club AccorHotels points. The exchange rate is very poor (7:1 for Finnair, 9:2 for Qatar) and as these transfers no longer count towards status it is not an option for earning Gold or Platinum quickly. You can generate Finnair miles, but not Qatar Airways miles, by transferring American Express Membership Rewards points. The group does not run the sort of regular, back to back, global promotions that we have come to expect from Marriott, Hilton and IHG. You cannot book an Accor property and automatically expect to be able to take advantage of an offer. Recent promotions have focussed on large bonuses for members bookings numerous 2+ night stays. These deals can be tricky to maximise, however, as you need to book within a short window for stays at a later date. It also runs regular private sales for Le Club members which offer cash discounts of up to 50%. See our ‘Hotel Promos‘ page for any current global offers. Accor has a Facebook app which offers bonus points if you activate it during your stay at an Accor hotel – see this article for details. In theory, your points will expire exactly 12 months from your last stay. In reality, earning points from an Accor partner will also extend them – but there are very few Accor partners out there. You can learn more about how to stop Le Club AccorHotels points expiring in this article. No – except to the extent that you negotiate a better room for cash at check-in and then use your Accor vouchers to pay for it. Yes, to the extent that you can part-pay your room with Accor vouchers whilst paying cash for the balance. Accor points can be transferred to a number of airlines. Uniquely among major hotel programmes, Accor has different exchange rates for different airlines. British Airways is 2:1 whilst Iberia is 1:1 so you should ALWAYS move your Accor points to Iberia Plus. You can then use ‘Combine My Avios’ to move them to your British Airways account. Because you could use your points for an Accor voucher instead, you are effectively paying 2 Eurocents per Avios (2,000 Accor points = €40 or 2,000 Iberia Plus Avios). This is very expensive and you would be better off using the points for a hotel stay if possible. Yes, see ba.com here. You can earn Avios by showing your British Airways Executive Club or avios.com card at check-in. The amount will depend on which brand you are staying with – it is 1.25 Avios per €1 with the upper end brands. You will not earn any Le Club AccorHotels points. However, you must still be a member of Le Club AccorHotels in order to do this. Can you get elite status with a UK credit card? Not any longer. The American Express Platinum offer for free Platinum status ended in 2016. Is Accor an Amex Membership Rewards partner? No. In theory you could transfer to Finnair at 1:1 and then on to Accor at 7:1 but this is a massive loss of value. You cannot purchase Accor points. This is not surprising, given that they can only be redeemed for a fixed cash value. Part Two of this article tomorrow will focus on my personal opinion of Le Club AccorHotels. Under “Elite Experiences”, the choice will change depending on the country that it detects. There are currently all of the Arena events (they just put more for sale last week, but they sold out rapidly), and I have 4 experiences of the moment in France. They are also expecting to release some tickets for the Rolland Garros soon. I wouldn’t think so. These points should be award points and not status points. Since Accor changed the rules in Jan 17 only base points from stays count for status. It should extend your expiry date though.